Russian football players Mamayev and Kokorin detained until December 8 | Russian Legal Information Agency (RAPSI). 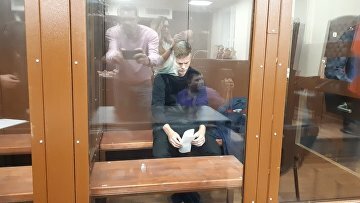 MOSCOW, October 11 (RAPSI) – Moscow's Tverskoy District Court on Thursday ordered detention of two football players, Zenit St. Petersburg's Alexander Kokorin and Krasnodar's Pavel Mamayev, suspected of beating several people, until December 8, RAPSI reported from the courtroom. Kokorin’s 19-year old brother Kirill was also jailed for two months. The court’s decision would be appealed, their defense lawyers told journalists. Kokorin and Mamayev allegedly initiated two fights in central Moscow on Monday morning. According to the police, a driver of a Russian TV journalist sustained a concussion and received a nose fracture during a first incident on a street in central Moscow. Two hours later, ministry of industry and trade official Denis Pak and CEO of the Central Scientific Research Automobile and Automotive Engines Institute Sergey Gaysin were assaulted by the footballers in a coffee bar and had to undergo medical treatment, the police stated. The café’s video records showed one of the sportsmen beating up Pak with chair. 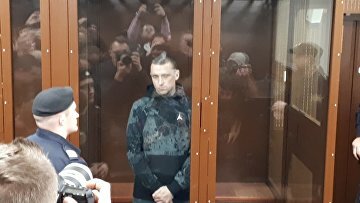 Criminal cases over hooliganism and battery were opened against the football players. On Wednesday, they were questioned by police.